Volkswagen`s dead can be Tesla`s bread. As you may know, Volkswagen`s stock has plummeted, while Tesla is so far up for the year. Volkswagen are spewing nitrogen oxide that is 40 times more than acceptable level, according to regulators. That`s not good for the environment because it contributes to pollution. In worst case it can lead to lung disorders, asthma and bronchitis. At least 12 million cars is so far affected by the diesel scandal, and that is good news for EV producers like Tesla. We can see a trend in the market; people are looking for clean energy. They are looking for green energy. So, what is the option as the battery get cheaper? People will sooner or later dump diesel and go for battery anyway. For me it is clear; Volkswagen should have started to produce and sell EV`s long time ago, and not cheat with their «clean diesel» engines. Volkswagen didn`t listen to the market, and cheated. For all I know, maybe they would start to have huge problems with the demand anyway? Tesla published a letter to shareholders in the beginning of August 2015, telling them that Tesla Model X will be launched in September. I haven`t seen any news about the release yet, but I think it will be just around the corner. This is great news for Model X buyers who have been waiting a long time for the new crossover SUV. Elon Musk said that the Model X is going to be «something quite special.» Who doesn`t want something special? It`s a long waiting list for Tesla`s electric SUV, and that means if you want that car and put in an order for your Model X today, the order will fulfilled next year. Tesla already has about 24,000 Model X reservations. Model X had about 12,000 reservations but I think Tesla is well more known now than three years ago, and their supercharger network is much more extensive than a few months ago. In addition, SUV is for many customers is more appealing and practical than a sedan. 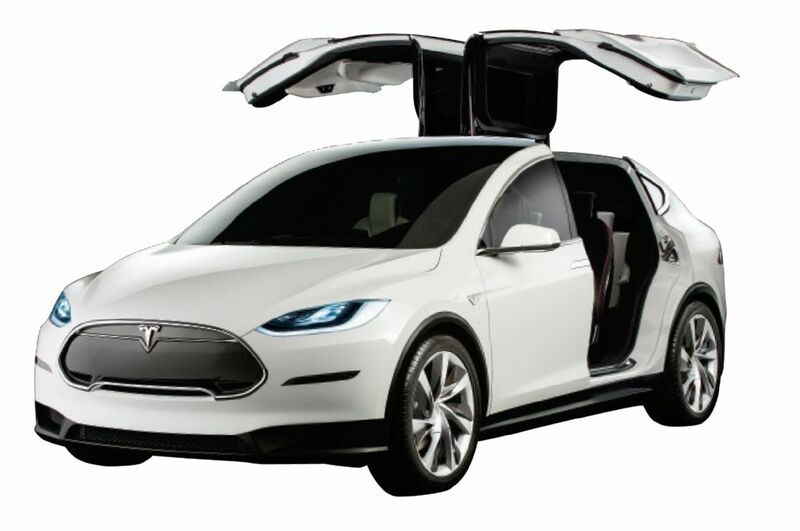 The price for Model X will be similar to the Model S at a range between $132,000 and $144,000. Model X will have a battery range of roughly 215 miles to 217 miles, which is also similar to Model S. The difference, however, is the «falcon wing» doors on the brand new Model X.
Tesla will continue bo build out its Gigafactory in Nevada on top of the new release of a new Model X. All in all, this is bullish signals, despite the drop of the stock yesterday. Tesla is trading at $248,43, down -3,30%. Elon Musk expect to reach the delivery goal of 50,000 to 55,000 EV`s for the full-year 2015.